The Self-Cath Closed System is a unisex system that provides a method for safe, simple catheterization. The introducer tip aids in the reduction of bacterial contamination of the catheter during insertion. The secure cap protecting the introducer tip protects the introducer tip from further contamination. The ring on the cap makes it easy to remove and the EasyOff™ tear tab makes the bag easy to empty, even for users with limited dexterity. Latex-free. 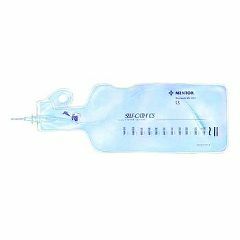 Singles contain: Prelubricated Self-Cath® catheter and collection bag only (no kit components).